It has been a frustrating summer so far for United boss Jose Mourinho as key transfer targets have not been signed. United have brought in 3 signings this summer with only Fred likely to be a starter despite Mourinho’s insistence on a new centre back and a right sided forward. However news from England suggests that United are close to signing a top centre back this summer. United have been linked with Spurs star Toby Alderweireld all summer but Tottenhams asking price of £70 million had seen United pondering over the deal. It has been carried by the Times that United have shifted their target to German star Jerome Boateng.United are reportedly confident of signing the World Cup winner for a lower fee than Byern Munich valuation of £50 million. Also leading journalist Simon Stone tweeted recently that wantaway forward Anthony Martial is set to remain in the club for next season. 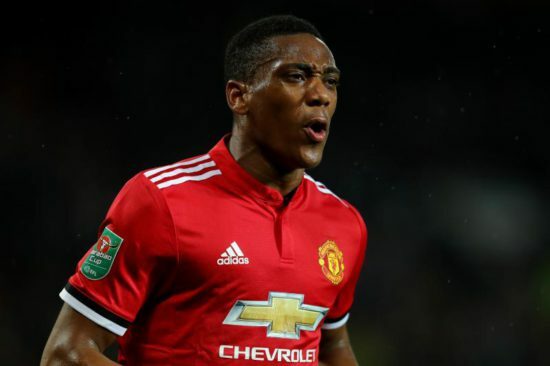 Martial had informed the club of his wish to leave Old Trafford this summer. The 22 year old recently had a war of words with Mourinho over his failure to return quickly for pre-season. It seems bith parties have agreed to work together for one more season as MOurinho seeks to win the EPL in his third season at Old Trafford.